Today we want to invite you to enjoy another free activity that our lovely Bournemouth offers us! From 8.00pm every Wednesday that takes place. From dusk, see the Lower Gardens transformed into a magical candlelight kingdom. Be sure to come and see how Bournemouth’s oldest tradition still thrills in 2014. The candles are lit at dusk and the displays represent anything from animals to cartoon characters. Tapers will be available free of charge from the crazy golf kiosk and the Bandstand, but a small bit of advice – get there early as the queues can get quite long! These enchanting displays twinkle away in the evening light providing a very magical feel to the gardens. In addition to the lighting of the candles, there are fire shows, entertainers, art workshops and live bands. The event began in 1896 when Princess Eugiene of France visited the town and her route through the gardens was lit by candlelight. Nowadays thousands of people visit each year to re-enact this visit. 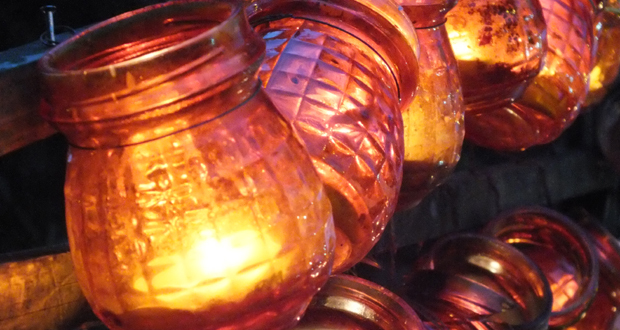 Charming, mesmerizing and beautiful, Candlelight Nights is a warming and captivating event for all ages. World Choice Education will be there and we will be pleased if you can join us! Be aware of our latest news and join the event! By worldchoiceeducation in Uncategorized on July 18, 2014 .